NBHAP talked to Jimi Goodwin and Andy Williams about their legendary debut LP, the long and winding path to its actual recording, their role in Manchester's music scene and plenty of other things. Concerts in big arenas are not always the finest place to cause emotional outbursts. The lacking intimacy and poor sound often create a feeling of distance whether you like it or not. So, I recently went to see NOEL GALLAGHER’S HIGH FLYING BIRDS performing live in such an arena. The show was alright, despite those diehard OASIS ultras who were just waiting for Don’t Look Back In Anger to finally show up. Well, but there was this support band. BLACK RIVERS, formed by Andy and Jez Williams, old Mancunian buddies from Mr. Gallagher. They just released their self-titled debut album last month but unlike other newcomers they have a history in British pop music that lasted for over two decades. They entered the stage, they picked up their instruments, Jez screamed ‘LOST SOULS!’ to the microphone and they started playing a song called Rise. And for those like me who were aware of its history it was a magical moment in this big crowded arena. Brothers Jez and Andy used to mark two-thirds of DOVES, one of Britain’s most crafted guitar bands of the past decade. Together with frontman Jimi Goodwin the Williams brothers formed their band in the late 90s, out of the ashes of SUB SUB, a dance project that came up in the haze of the infamous early 90s Manchester rave scene. Lost Souls, released on April the 3rd in 2000, was their debut full-length with the just mentioned Rise being one of the twelve songs on it. It was a psychedelic piece of – what you could call – Post-Britpop, balancing powerful between gentle singer/songwriter folk and epic stadium anthems. It was a bit odd but full of ideas, scored a Mercury Prize nomination and even peaked at number 16 in the UK album charts. 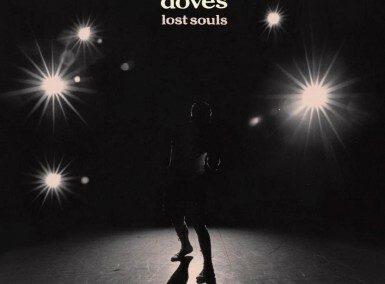 As the DOVES debut record turns 15 these days it is about time for a rediscovery of this album that means so much to a lot of people, from the musicians who recorded it to their countless fans who are desperately waiting for a return of the trio ever since the band went into indefinite hiatus five years ago. An anniversary like this is always a good moment to take a trip down memory lane so NOTHING BUT HOPE AND PASSION caught up with two-thirds of the band to discuss the album’s legacy. I phoned up Andy on tour and exchanged e-mails with Jimi who’s currently working on a potential follow-up to last year’s solo debut Odludek. In the end, I must confess, I made it a bit look like the boys were in the same room together. Of course, they weren’t but it’s no surprise to see that they share similar memories when it comes to the reflect on the recording of Lost Souls. It’s interesting to see that you guys emerged from Manchester‘s vital dance music scene and ended up doing something quite contrary on ‘Lost Souls.’ How did that happen? Jimi Goodwin: House music and Hip Hop came and sort of swept away everything before it, for us. We were 17, 18 years old when the so called ‘Acid House’ scene took hold and at that age you kind of become exclusively into this or that almost at the expense of everything else… That’s how powerful it was for us. We nailed our flag to the wall for a while. Me, Andy and Jez were guitarists and drummers but that took a back seat while we embraced this new music. Still, not that much later we started getting disillusioned with clubbing, It was getting ugly and violent out there and around 1993 after we had the hit! [Aint’ No Love] we felt that its heart had gone and we slowly started to think about incorporating our guitars and drums and tried and blend that with all we had learnt from the club scene. Andy Williams: We stopped going to clubs and became more interested in hypnotic guitar sounds. You can hear that on our final compilation LP Delta Tapes which is already closer to DOVES than to our previous SUB SUB recordings. It’s the missing link. JG: The change took time! Also around 1994/95, Live music seemed to be in resurgence and it felt natural for us to explore this. Right. You ‘abandoned’ SUB SUB somewhere around 1996 but it took you a few years before your first single ‘The Cedar Room’ was released. Did you need the time to find your sound? JG: Yes very much so. Also we were searching for a Singer for ages. We were working on songs and putting these ads out looking for a ‘frontman’. There was a lot of experimenting and jamming on ideas. AW: We only wanted to release something if we were 100 percent sure of it. And us starting fell right into the high times of Britpop and we never wanted to be part of it. We actually wanted to work against this. Indeed, the album appeared in a quite interesting period of time. The 90s Britpop hype was over for a few years, the new indie wave wasn’t quite ready. It was the ‘age’ of bands like COLDPLAY or TRAVIS. How do you remember the time back then? AW: Like I said… we didn’t feel comfortable with the whole Britpop thing anyway We wanted to make more of a ‘head’ album and were not aiming for commercial success. JG: We were just concentrating on our thing. We never really looked to how we’d fit in with any scene. I remember us being extremely proud of the record but prepared to take a music press battering… you know dance guys go ‘Indie’ etc. … when it was well received we were a bit taken aback as we were so used to being in underdog mode! Flying under the radar. It had been such a tough few years to get to that point. Manchester has always been a working-class town, far away from the glamour of London. Of course, the times were way darker when JOY DIVISION started recording in the late 70s and the Manchester scene of the 80s with bands like THE SMITHS and HAPPY MONDAYS finally put the city on the map of British pop music but still you had to work quite hard when you wanted to ‘make it.’ DOVES are no exception to that rule. As Andy tells me, they truly went through a difficult time and a lot of changes. ‘One of the key moments might be that a fire on me and Jez’ birthday in 1996 destroyed our studio and all the equipment,’ he remembers. That actually was the end of the SUB SUB idea and the Williams brothers and Goodwin had to start from scratch. Andy explains: ‘We were turning 30 and thought: Do we actually want to make a living out of it?’ Thank god you can still rely on friends when you’re reaching point zero, right? NEW ORDER and their legendary manager Rob Gretton (who tragically passed away in 1999) were such friends. He continued to motivate the three-piece until his death and the band around Bernard Sumner lend DOVES their studio in Cheetham Hill. ‘The studio had no windows,’ remembers Williams with a big laugh. ‘We were going in like a job, from Monday to Friday,‘ he explains. ‘We didn’t see any sunlight.’ Back in the late 90s Cheetham wasn’t the nicest place in Manchester so they clearly had the strength to carry on. Rob Gretton was a key figure for many Mancunian bands. Also for you, right? AW: We wouldn’t got our asses up if it wasn’t for Rob. JG: We met Rob through our Manager Dave Rofe. He introduced us. SUB SUB had just been dropped by Ten Records, Virgin’s Dance Label. They had released Spaceface but declined to put out our next release which became the Coast EP. Rob Signed us to Rob’s Records with Coast and the relationship started there. Rob started ‘Rob’s’ because he felt frustrated with Factory not signing any Dance music. You had the most famous club in the world at the time and the label was ignoring all this great Club music right under their noses. Typically bizarre Factory behaviour! AW: He especially helped us to find a singer. I remember that we auditioned quite a few people before Rob came to us and said: ‘You know, Jimi can sing, right?’ And he was right, he just didn’t have the confidence back then. And once Jimi started we started singing as well. We took years to get there. He recognized something in us and helped us to share it with the world. JG: Rob was an incredible man. He supported us through thick and thin and allowed us to grow. AW: All in all he did so much for music in Manchester. Him and Tony Wilson, of course, were driving forces back then from the late 70s right until the 90s. And I think Rob deserves more credit for his work. JG: Once it was decided that I was gonna be the singer the songwriting started really gaining momentum and strength. It was really empowering to realise that we didn’t need anyone else we already had it within the three of us. A real breakthrough song was Break Me Gently. That’s the first song I remember us doing with me in mind to be the finished thing! Songs started flowing fast and it was around this time that we decided to change our name to DOVES. It felt like a personal breakthrough for us. No more indecision. This would have been late 1997 perhaps. Lost Souls is worth to be rediscovered, 12 highly recommendable anthems that still work surprisingly well together. From the psychedelic movie-score-like Firesuite to the tender Break Me Gently, the uplifting Catch The Sun to the already mentioned key track The Cedar Room. 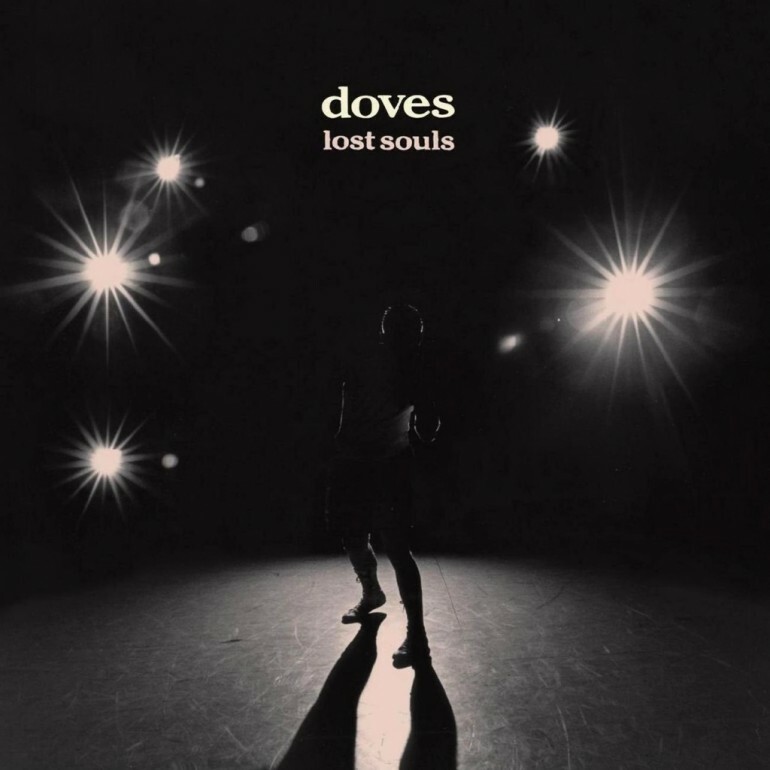 The DOVES debut is dominated by a variety of emotions and musical influences but I guarantee you: you won’t skip one single song on it. ‘I love the sort of records where you can totally forget who you are and where you are,’ tells me Andy via the phone, ‘Hopefully Lost Souls is such a record as well.’ It could be your perfect musical lover for a summer of love. I really love the coherent and floating ‘tropical’ sound of the record. It’s psychedelic but never too much. What music and bands inspired its sound? JG: We were listening to all sorts. TALK TALK’s Spirit of Eden is a big DOVES record. We used to come home from clubbing and end the night on that. I think we were also listening to Stuff like WILCO’s Summer Teeth, BEASTIE BOYS – Hearing them adapt a liver sound was inspiring. BECK’s first couple of records. Loads of old soul. When you look back on the album, 15 years later… what feelings do you have? Would you change certain things? JG: I haven’t listened to it for years. In fact I don’t think I’ve listened to it since we made it discounting playing songs from it live. I’m proud of it sure, as it is/was I feel a great debut album. That’s what we set out to make and I think we achieved that. AW: I really like Here It Comes, I love A House and, like I mentioned before, The Cedar Room since it was such a key moment when we were recording it. I remember when we went through the songs back then that I thought something like Catch The Sun might be too poppy. But on the other side you need such songs in the course of the record. But we had a big discussion about it, that’s right. See, even Mr. Williams and Mr. Goodwin need to re-discover their own debut album from time to time. Lost Souls was the starting point of a quite impressive decade for the British trio. Two years later, the follow-up album The Last Broadcast made it to Number 1 of the UK charts and earned them a Brit Awards nomination. And of course, I can also recommend you the other two records, Some Cities (2005) and Kingdom of Rust (2009). But, let’s just start with the debut for the moment, right? ‘I’m so pleased that people still listen to the record,’ explains Williams. 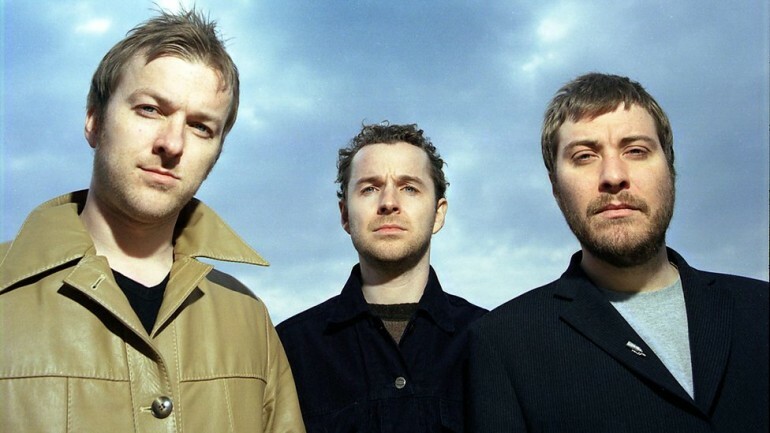 ‘People come to me and say that it’s their favourite album ever and this is really a beautiful thing to hear as a musician, 15 years after releasing the record.’ The DOVES are still proud of their first-born and whatever the future might hold for the trio: that’s always the best foundation. Until then you have a plenty of time to discover their back catalogue. Start with Lost Souls right here on Spotify and iTunes.